The gruesome murder of a Dalit youth allegedly for refusing to heed the order of high caste Rajputs not to "show off" by riding on his horse is all set to become a major embarrassment for the Supreme Court, which ruled recently that certain provisions the Prevention of Atrocities (POA) Act were being misused to "blackmail" innocent people. The only Dalit boy in the region to ride a horse, he was quite popular in his community. 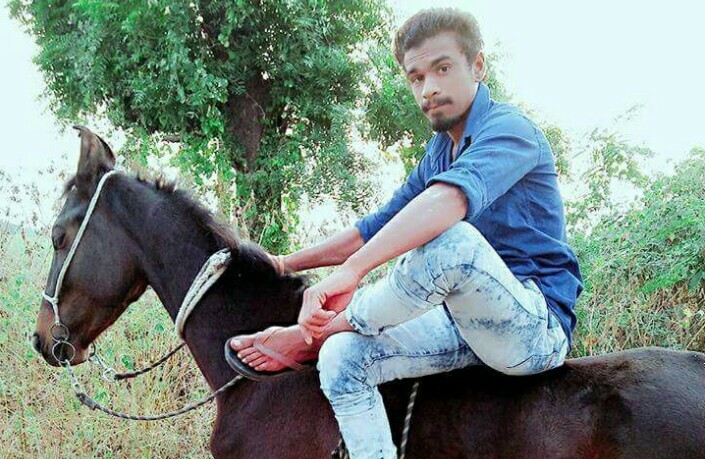 According to a local activist Dalit activist Arvind Makwana, 21-year-old Pradip Rathod of Timbi village in Umrala taluka of Bhavnagar district was killed on March 29 evening a week after his father was threatened that the boy should refrain from riding the horse. Gifted by his father after buying the horse five months back for Rs 30,000, Makwana says, "The village Rajputs had told Pradip's father to sell the horse, or face fatal consequences." According to available information, Pradip, as always, went out of his house riding on his horse rode on March 29 evening, but the horse came back alone. His father, Kalubhai, out to search his son, was shocked to find the body soaked in blood a little away from his house. 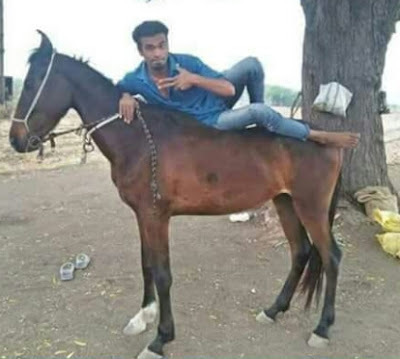 Pradip was the only Dalit not only in his village but also in neighbouring villages to own a horse and ride on it, something Rajputs believed was their forte. While Gujarat's top Dalit face Jignesh Mevani has, in a sarcastic comment, said he "dedicates" news of the dastardly incident to the Supreme Court judgment "which said Dalits blackmail citizens with POA Act", well-known Dalit rights leader Martin Macwan, founder of the state's biggest Dalit NGO Navsarjan Trust, has insisted, "The Supreme Court had ruled that the anti-atrocities law was being misused to harass innocent people. Even before the ink dried up, this young boy was murdered." Said senior Gujarat Dalit activist Kantilal Parmar, "Kalubhai's family refused to take Pradip's body, lying in Bhavnagar Civil Hospital, till those accused in the murder were arrested. About 2,000 people from surrounding villages joined in and sat on dharna. The administration was forced to act. It rounded up three persons involved in the murder." Pointing out that this is not an isolated incident, Parmar said, earlier incidents, which took place over the last about a year, involved the murder of Jayesh Solanki was for watching garba in Bhadaniya village of Anand district, Patan district's Bhanubhai Vankar setting himself on fire after the government administration refused to provide him land he was allocated, and Bharatbhai Gohel of Veraval's Ambariyala village being burned alive for failing to pay up dues for the car which he had bought. Then there was the most recent incident of Rajkot's Manekvada village where a young Right to Information activist was killed for seeking to bring on surface massive corruption in the administration, a Dalit boy in a village of Sabarkantha district being beaten up for keeping moustache, suicide of a midday meal scheme in charge in Prime Minister Narendra Modi's home town Vadnagar on being harassed by teachers, the murder of Mahesh Senva in Ahmdabad district for for seeking irrigation water, and the murder of a constable Vinodbhai in Detroj, also in Ahmedabad district. Will it ever change? Can the laws change the DNA of thinking process. Untouchability and some form of atrocities are common in villages. Therefore, Dr. Ambedkar advised the depressed to migrate to cities where they can live a life of dignity. After 70 years of independence, village culture hasn’t been changed as expected because the village population had maintained their caste identity living separate in ghettos of castes groups. In urban areas, the areas of living for the depressed are separate but because of housing costs and needs for services, people somehow get mixing. The upper caste men living in cities when go to village, they change the colour the same of village culture. Like the Indians, when they live in foreign countries, they are like discipline force but when they come to india, they become like us. It is to note that Indian people living abroad also believe in caste system. If they come to know about the individual identity as depressed, their behaviour dilutes. It is a way of life, the life of survival, the depressed have to accept and adjust and to sail in the Sea of mankind together. It is a man made disaster. India won’t have casteless society for another 500 years, because caste system is it’s culture. It may dilute but can’t disappear. The uncultued upper castes people living in villages tolerate the growth or individual pride of Dalits in limit but if they see something going above their tolerance limit, they act inhuman. For them, the Dalits are the slaves can’t have right and freedom of expression beyond their tolerance limit. There were/are villages where the Dalits were not allowed to use Dhol/drum or musical orchestra in the marriage of their sons and daughters. There were/are villages where the Dalit bridegroom can’t ride a horse when go for marriage. It’s a life of adjustment and finding ways to grow within limitations. "It’s a life of adjustment and finding ways to grow within limitations." This is a ridiculous attitude and no wonder the one who wrote it has preferred to remain anonymous. How can we call ourselves a civilised nation when we show no civility to our own people? Terrible news. But there have been cases of black mail. Some years ago we had a terrible time in Baria; a gang was going around blackmailing jewellers and extracting money. Some people opposing me also tried to get Dalits to file cases against me, but it never happened because most of those Dalits have been given land by my family. In Baria most of, nearly all actually, Dalits here been given very fertile land by the Panam river by my father. We have always looked after Dalits; that's why my opponents didn't succeed. Do people fear law and order ? I doubt !!! Horrible and shameful for any cultured and civilized society.